Rely on All Star Title and Abstract Company, LLC in Long Prairie, MN when you need efficient title insurance and abstract services. Owner Joan Casperson is a personal closer that comes to you! She offers mobile services that work for her clients. Together with her expert team, our company can handle various residential and commercial properties within our service areas. Whether you require our services prior, during, or after closing a property, count on us to guide you through the entire process. Joan is a an agent for ATGF. Phenomenal customer service is the key to our business at All Star Title and Abstract Company, LLC. We will go to great lengths, “even to the stars” to meet our clients’ needs! We take great pride in the meaning behind the “All Star” name; believing in, promoting, and delivering “All Star” service. Our company offers services to realtors, mortgage brokers, local banks, construction contractors, attorneys, surveyors, and appraisers. 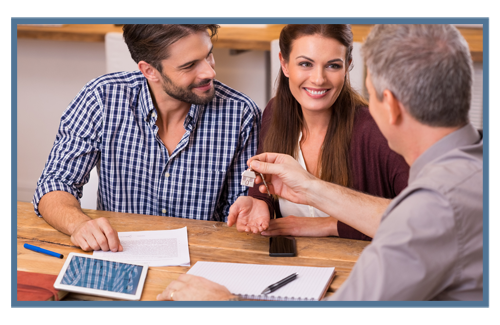 Our licensed title agents and abstractors are proficient and precise professionals who will handle each and every client with a friendly and caring attitude. Are you a homeowner who wants to secure your claims to your property? Perhaps you are a real estate agent in need of title insurance services. No matter what your property management needs, we have you covered. To learn more about our business, give us a call and speak with our agents and abstractors. We are also an agent for Attorneys’ Title Guaranty Fund.